GG Custom Designs is a male orientated grooming spa meets bespoke tailoring shop in Nobleton Ontario. 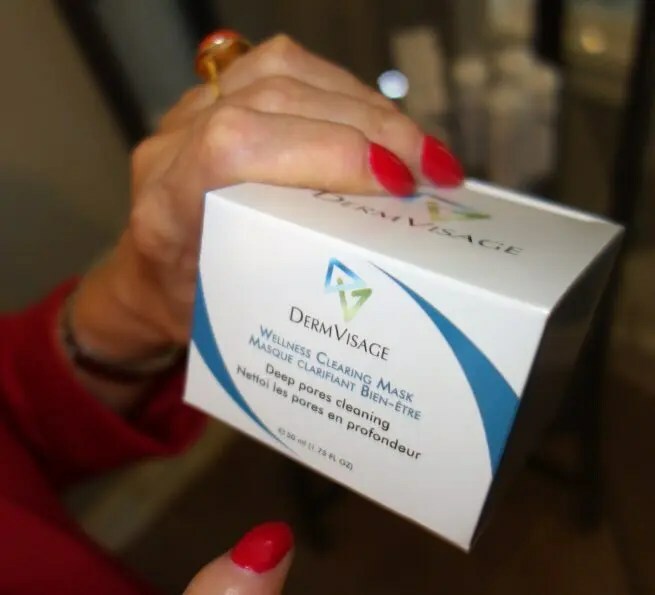 A great honour for DermVisage occurred in September 2016 when Gloria Garofali and her husband Carsten invited our skincare line to supply, display and sell product in their high end men’s luxury salon spa and bespoke clothing store in Nobleton. On Saturday Sept 24th 2016 the doors opened on GG Custon Designs Inc at 25 Calibre Ct on the southwest corner of Wilsen St and Hwy 27. This one-stop style shop is a must-visit destination for debonair men who dwell in the area (and those willing to travel up Hwy 27 to the King side road) to get head-to-toe fashion and beauty makeovers from passionate proprietors and their expert staff. 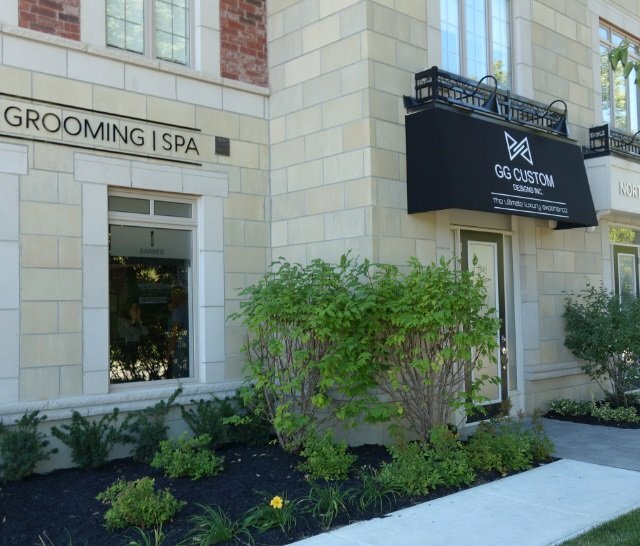 The article about the launch of GG Custom Designs in Enrich Brampton magazine focuses on men, but in fact both male and female consumers can get beauty treatments, haircuts and buy skincare lotions from inside the cabinet near the front counter. Both men and women can get measured for bespoke clothing (clothing made to order from preselected fabrics) that will fit their bodies perfectly. And any man with a mustache and beard knows that proper maintenance is delicate and time consuming work, and getting a decent shave from a professional can seem Heaven sent. Both men and women can get skin analysis, manicures, pedicures and massage treatments at GG Custom Design Inc. There was quite a party on Saturday Sept 24th 2016 and here are just some of the pictures of the celebration. If you find yourself in Nobleton Ontario drop into GG Custom Designs at 25A Calibre Ct for a shave and haircut, manicure or massage and check out the look-books filled with photographs of custom clothing, and the cabinet by the door filled with DermVisage anti again skincare product. A beautiful spa for both men and women.